I picked up N++ on PS4 the other day and it's really good. It's also exactly what I was expecting. It feels and plays just like N+, but with a couple new twists. That's not a bad thing. 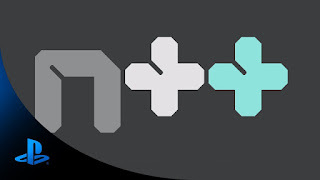 N+ was an amazing platformer and N++ is as well. If you've never played the series, it's a very minimal look and feel with no hidden information from the player. The game is all about execution of platforming. Once you get a feel for the game it's glorious. The level designs keep me coming back for more as does the co-op. There's a ton of content to explore in N++ for platforming fans out there and it's an easy recommendation to people who like the genre.